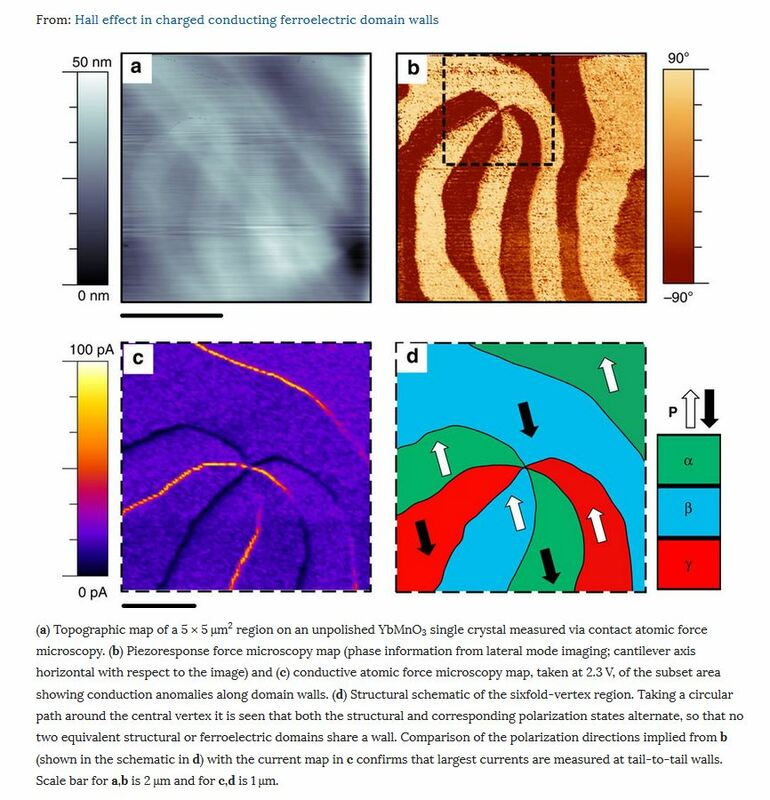 In this article the authors demonstrate that intermittent-contact atomic force microscopy (AFM) can detect the Hall effect in conducting domain walls. 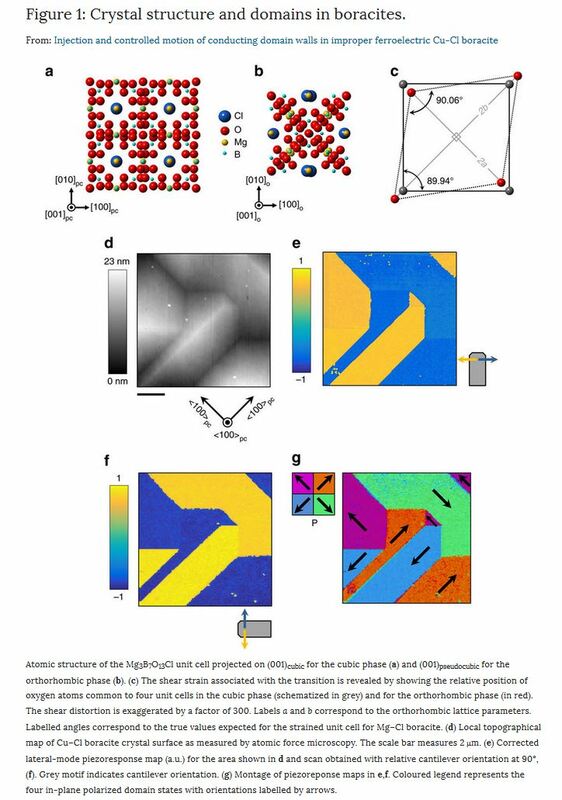 NANOSENSORS PPP-EFM AFM tips were used for the measurements in this paper. 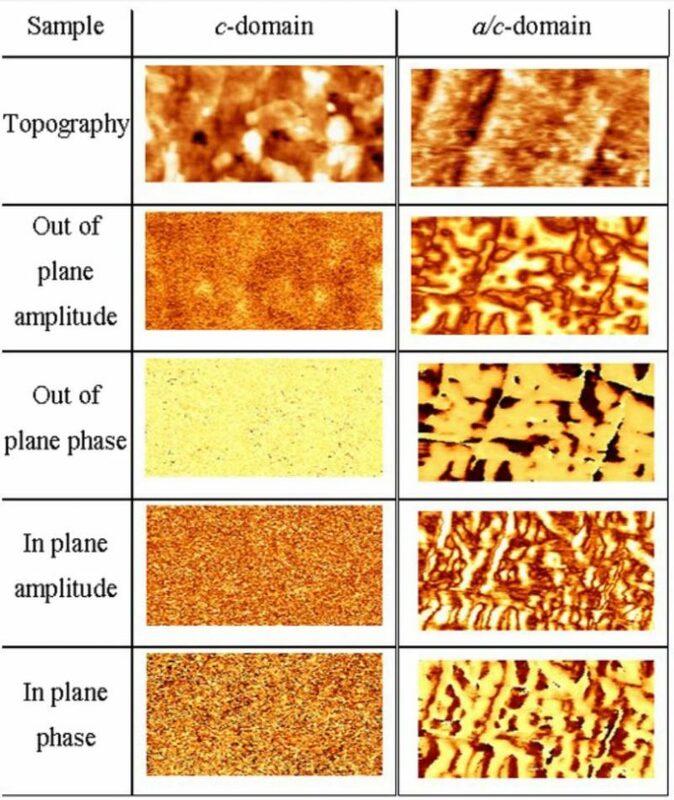 from: Hall effect in charged conducting ferroelectric domain walls, Figure 1: Piezoresponse and conductive analysis of domain structure in YbMnO3.